Identification: Top surface of head and thorax are greenish. 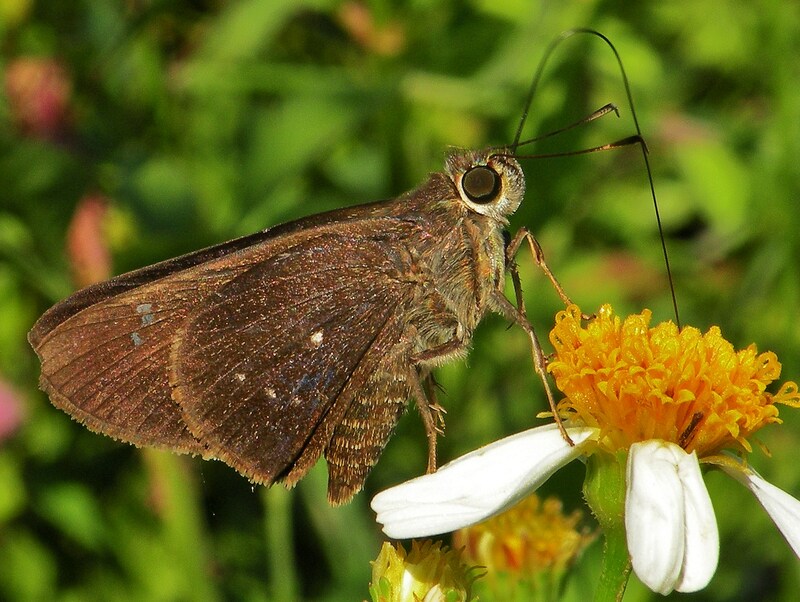 Upperside of wings is dark brown; forewing is pointed and has large white spots. Underside of hindwing is brown with several small white submarginal spots and a small white discal spot. Flight: October in South Texas, May-January in Mexico. Range: Ecuador north through Central America to northern Mexico and the West Indies. A periodic stray to the lower Rio Grande Valley, Texas.